Happy Thanksgiving and Happy Therapeutic Thursday! When I first read the above quote, it resonated with me so much. In my own life I have been able to find gratitude from the challenges and hardships I have experienced. Looking back at these events, I have often found that there were gifts waiting for me within the ‘problems’ – gifts in the form of closed doors that eventually led to new opportunities, important life lessons learned, and deep shifts in my perception. These series of challenges (including my previous health struggles) are what led me to be where I am at today, and further propelled me on my path to creating The Therapeutic Foodie. Have you ever experienced a stressful event or time in your life that ended up being a ‘turning point’ for you? Did you learn anything from the experience? What did you learn? Do you feel stronger and wiser for having gone through it? How are you now more the person you want to be because of it? These are questions you can ask yourself that can help shift your perception of stressful events and challenges that you may have experienced. To further illustrate an example of cultivating gratitude from a stressful time, I want to share a stressful time in my life that turned out to be one of the most transformational experiences I ever had. Ten years ago, I was a new graduate from my occupational therapy program, and ended up getting a job in the hospital that I had my internship in. As a new graduate back then, I had limited experience working with patients, and often felt anxious in the acute setting due to the fragile state that the patients were in. I remember out of all the patients that I worked with, I was most intimidated by those that were experiencing back pain. Either from an injury or post surgery, the pain levels the patients expressed they were having were often off the charts, and I didn’t feel I knew how to help them effectively. My job was to help them get back to being as independent as possible with the things they do everyday – and in the hospital setting a big focus is on self-care, including getting dressed, going to the bathroom, etc. I had my own back injury. An injury that was so severe I was off work for several months; an injury severe enough I had to use the adaptive equipment that I taught patients how to use; an injury severe enough that I needed to participate in my own therapy and rehabilitation process. The irony of this situation was not lost on me. An occupational therapist needing occupational therapy?! When the injury first happened I was depressed. Watching The Count of Monte Cristo on repeat because I couldn’t move, I was wondering if my new career was over before it had hardly begun. I felt sorry for myself for a while. Then, something started to change. I learned how to move and navigate around the pain. I became an expert at knowing how to use the adaptive equipment because I needed it myself and used it to complete my own activities of daily living. I eventually healed, and came back to work more confident with the new knowledge my own back injury gave me. I was no longer scared to work with patients with back injuries. In fact, I now enjoyed it because through my own experience I felt I can help them much better – more effective than any school or book could teach me. This experience became a huge catalyst for personal growth in my life; and my ability to experience empathy with these patients grew tremendously. In the storm of experiencing stress we can spend a lot of time ruminating on what is wrong with our lives or what we want to change. Is it possible to still have gratitude for what is working? Perhaps when it is still too early to learn the lessons from these stressful events we can focus on the everyday simple joys that are around us; the simple everyday joys and people that already exist. I have learned that perception is everything. I will leave you with another quote from Dr. Wayne Dyer that I love so much and fits this topic: “When you change the way you look at things, the things you look at change”. If you are feeling reflective today and want to dig a bit deeper on the topic of gratitude and stress in your own life, feel free to ask yourself the reflection questions at the beginning of the post. 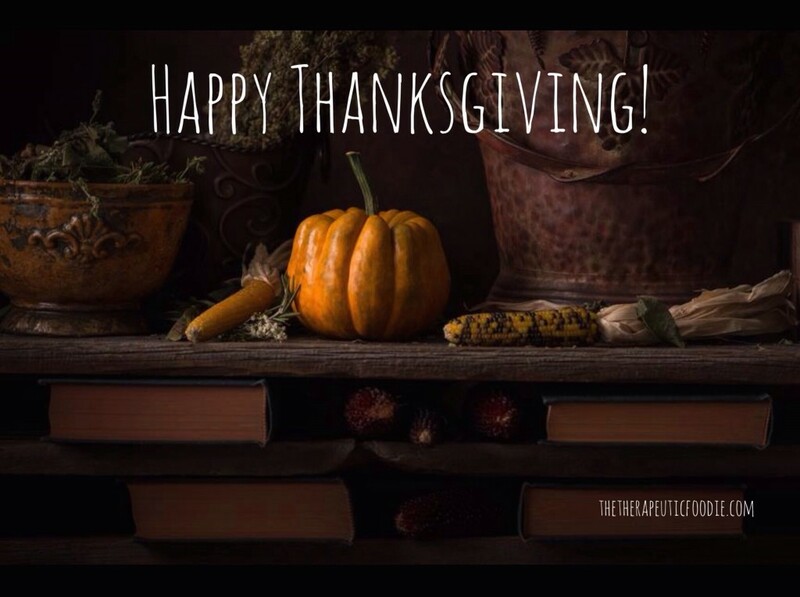 I hope you have a Happy Thanksgiving, and see you next week!